Dazaifu City is a relatively small and quiet place located on the border of the Fukuoka Prefecture. During the Nara and Heian Periods, the district played an important role in Japanese politics. It makes for a great day trip for those visiting the island of Kyushu and also houses a handful of accommodation options for tourists looking for to spend the night. 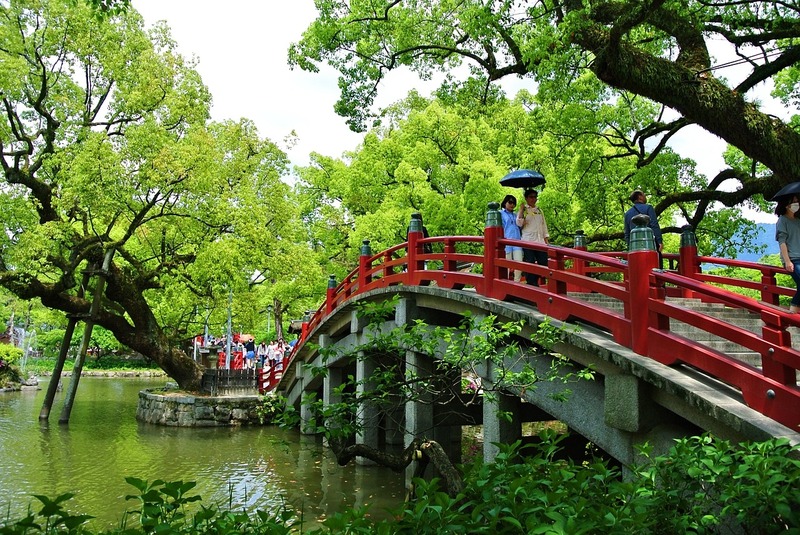 The city of Dazaifu features a generally warm and temperate climate. It experiences a significant amount of rainfall every year, even on December, its driest month. Tourists who want to avoid the rain should make it a point to visit Dazaifu during any other month besides June or July. Conversely, those who do not want to explore the city under the scorching heat of the sun should avoid the month of August. Tourist Attractions in Dazaifu, Japan – Tenmangu Shrine, Kanzeonji Temple, Etc. The Tenmangu Shrine of Dazaifu serves as the most popular tourist attraction of the city and also the most significant Tenmangu Shrines in Japan. 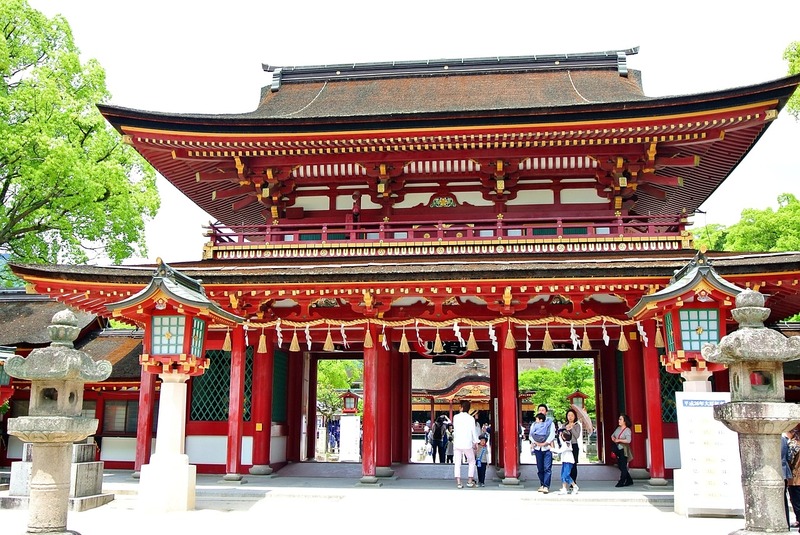 The Dazaifu Tenmangu Shrine is dedicated to the spirit of the Heian Period’s Sugawara Michizane, an important politician and scholar, for his admirable knack for learning which has even made him at par with the Shinto god of education known as Tenjin. Since the early age of 11, Sugawara Michizane had already displayed various talents, such as composing poetry. As such, it came to no surprise that his career in politics developed quite rapidly, such that he played a great role in the imperial court. However, his influence stirred conflicts within the system, particularly between him and the Fujiwara Clan, a powerful family at the time. The growing rivalry eventually resulted into Sugawara Michizane’s exile to Dazaifu, where he died just a few years after. A series of natural disasters showered the country of Japan, which many associated with the scholar’s death. As a means to appease his wrathful spirit, the local community started giving offerings that ultimately led to the establishment of the Tenmangu Shrines. The Dazaifu Tenmangu Shrine was built on Sugawara Michizane’s gravesite, just 250 meters away from the Dazaifu Station. Some points of interest within the complex include a stunning pond, two arched bridges, plum and other tree types, the Dazaifu Tenmangu Museum, and the Kanko Historical Museum. Visitors can also enjoy several food, clothing, and souvenir shops on their way to the shrine from the station, as well as several stalls that sell good luck charms within the shrine grounds. Hours: 6:00 AM – 7:00 PM, daily; 6:00 AM – 7:30 PM, daily (From June to August); 6:30 AM – 6:30 PM, daily (During winter). The Komyozenji Temple belongs to the Rinzai School of Japanese Zen Buddhism. It is situated near the Dazaifu Tenmangu Shrine, just a few hundred meters to the south. According to records, the temple was built by a disciple of Kyoto’s Tofukuji Temple, another Zen temple. Thousands of visitors make their way to the temple to see its stunning Japanese rock gardens. The rear garden serves as the bigger of the two and is viewable from the temple’s main building. Moss patches and plant life are incorporated into the design of the rear garden to form abstract images of water and land bodies. On the other hand, the front garden welcomes visitors into the temple grounds and mostly consists of raked pebbles. Fifteen rocks are strategically placed on these pebbles to spell out the Japanese word for “light”. During mid-November, the temple becomes even more beautiful as the leaves of its maple trees change into lovely colors of red, orange, and yellow. The Kanzeonji Temple dates back to the year 746, when its construction was commissioned by the then emperor as a way of honoring his mother. When the city of Dazaifu was at its peak during the Nara Period and Heian Period, the Kanzeonji Temple served as the city’s most significant temple. Unfortunately, as the political influence of Dazaifu started to weaken, so did the popularity of the Kanzeonji Temple. Over time, the temple lost a lot of its structures including a pagoda and several gates. At present, what remains at the temple grounds include a bell tower, a lecture hall, and the main hall, which were rebuilt during the seventeenth century. The temple also houses various historic and cultural artifacts from the Nara, Heian, and Kamakura Periods. Tourists can easily make their way to the temple by taking a 20-minute walk from either the Gojo Station or the Dazaifu Station. Alternatively, buses can also be taken from the Tofuromae Station or Dazaifu Station to the Kanzeonjimae Bus Stop. The Kyushu National Museum, or Kyushu Kokuritsu Hakubutsukan, is a relatively young museum that just opened its doors to the public during the year 2005. Nonetheless, it stands as one of Japan’s renowned national museums, alongside that of Nara, Kyoto, and Tokyo. History dictates that Dazaifu played a vital role in the diplomatic relations of Japan with other Asian countries by housing an important government office all throughout the Nara Period and Heian Period. As such, the Kyushu National Museum pays proper tribute to the city’s past by hosting exhibits that revolve around the Japanese culture, as seen from an Asian perspective. The massive, multi-story museum features several sections that present visitors with various collections and artifacts, shown in informative and creative fashions. Visitors can also view several short movies at the museum’s quaint theaters that are equipped with state-of-the-art technologies. Kids are also sure to enjoy a visit to the museum, given its interactive exhibits and games located on the first floor. As mentioned, the city of Dazaifu was the center of political affairs during the Nara Period and Heian Period. The island of Kyushu housed several government offices that were composed of regal administrative buildings, gates, and pillars to reflect the prestige of the local governments. According to records, such offices were arranged symmetrically along a grid and were painted in a signature shade of vermilion red. Unfortunately, as the political influence of the city of Dazaifu began to die down, these government offices became unnecessary and were ultimately destroyed. At present, the site of Dazaifu’s former government office is being used as a public park for visitors to enjoy various activities. Several remnants, such as building foundations, can still be seen at the site. Visitors can also get more information about the city’s history at the Dazaifu Exhibition Hall which is just a short walk away from the government office ruins. The city of Dazaifu is just fifteen kilometers away from the heart of Fukuoka City. As such, it can conveniently be reached by taking bus or using the Nishitetsu Railway. Direct buses from Fukuoka to Dazaifu are available at hour-long intervals at the Hakata Bus Center. It's costs about 600 yen per person. For those who will be coming from the Fukuoka Airport, these buses, fortunately, stop at the International Terminal, as well. From there, the trip to Dazaifu is just 30 minutes away and costs about 500 yen per person. The Nishitetsu Railway features a small branch line known as the Dazaifu Line. This line is connected to the Tenjin Omuta Line, which starts off at the Nishitetsu Fukuoka Station. 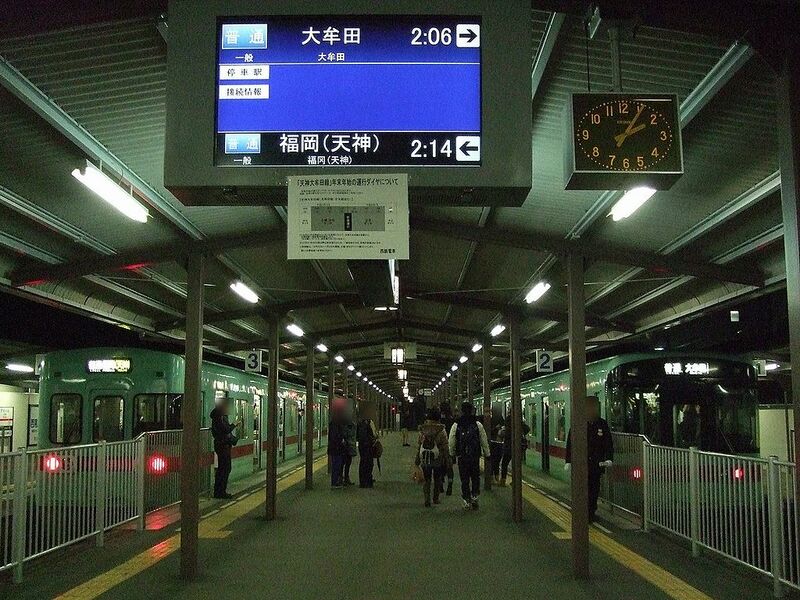 Tourists can expect to take a total travel time of 25-40 minutes from the Nishitetsu Fukuoka Station all the way to the Dazaifu Station for the cost of about 400 yen per person. In line with the Nishitetsu Railway, tourists should note that a train on the JR Kagoshima Line can be taken to the JR Futsukaichi Station, which is a 10-minute walk away from the Nishitetsu Futsukaichi Station. From the JR Hakata Station to the Dazaifu Station, the trip can take up to an hour of travel time and costs about 430 yen per person. Once at Dazaifu, visitors can easily explore the city through its Mahoroba Bus Network that goes through the main tourist attractions, i.e. the Dazaifu Tenmangu Shrine, the Kanzeonji Temple, and the Government Office Ruins. These buses can be taken at the Dazaifu Station or the Tofuromae Station for 300 yen per person (day pass). Alternatively, choosing to rent out bicycles is also highly recommended as the tourist attractions of Dazaifu are located fairly close to each other. Bike rentals are available at the Nishitetsu Futsukaichi Station and the Dazaifu Station for 500 yen per day from 9:00 AM to 5:00 PM. Guesthouse Asobigokoro Fukuokadazaifu is located right in Dazaifu, Japan, just less than 10 minutes away from the Dazaifu Tenmangu and Komyozen-Ji Temple by foot. The hostel offers private parking, free WiFi, air-conditioned rooms with shared bathrooms, and a shared lounge for guests to mingle with other tourists or locals. Grace Apartment is a 1-bedroom apartment that features a bathroom, a kitchen, and a private balcony. It is located about 2.2 kilometers away from Dazaifu Tenmangy and the Kyushu National Museum. Nearer landmarks include the Komyozen-Ji Temple and Kanzeon-Ji Temple, which are 1.9 kilometers and 700 meters away, respectively. Route Inn Grantia Dazaifu acts as a hotel and spa. It houses a relaxation room that features several massage chairs, a Korean sauna, and a number of hot spring baths. The hotel’s rooms are all modern and come complete with flat-screen TVs, ample space to work in, and excellent bathrooms. Guests can easily take a 5-minute drive to the Dazaifu Tenmangu Shrine and Kyushu National Museum from the hotel. Sim’s Guest house is located 1.7 kilometers away from Dazaifu. It is a dormitory-type hotel that offers guests with Japanese-style and bunk bed-style rooms which feature shared bathrooms. Guests are also free to use the shared kitchen and shared lounge for their convenience. Futsukaichi Green Hotel is located 1.9 kilometers away from Dazaifu. The place is perfect for tourists traveling alone and on a budget, as it houses compact rooms that come complete with LCD TVs and private bathrooms. The hotel also offers bicycles free for guests to use throughout their stay, which makes touring the city quite convenient. Status Mansion is located 2.4 kilometers away from Dazaifu. The apartment features private parking, free WiFi, a kitchen, a bedroom, a bathroom, a dining area, and a balcony. Of course, renting the charming place includes free use of the coffee machine, kitchenware, washing machine, microwave, refrigerator, and other common household items. Norishicoauto Guest house is located 2.5 kilometers away from Dazaifu. The inn is especially popular among couples, given its convenient location near the Dazaifu Tenmangu Shrine and Buso-ji Temple. Guests can also enjoy free WiFi and bike rentals, among other services, at the Norishicoauto Guest house.